(Text automatically translated) Very quiet, ideal for relaxing, set in a private farm with 3 acres with horses, duck pond, tennis court, citrus orchard, near the golf courses of Quinta do Lago and the natural park of Ria Formosa. The villa is in a great location near restaurants and shops. The area is peaceful and walkimg through the farm you'll see the friendly animals. 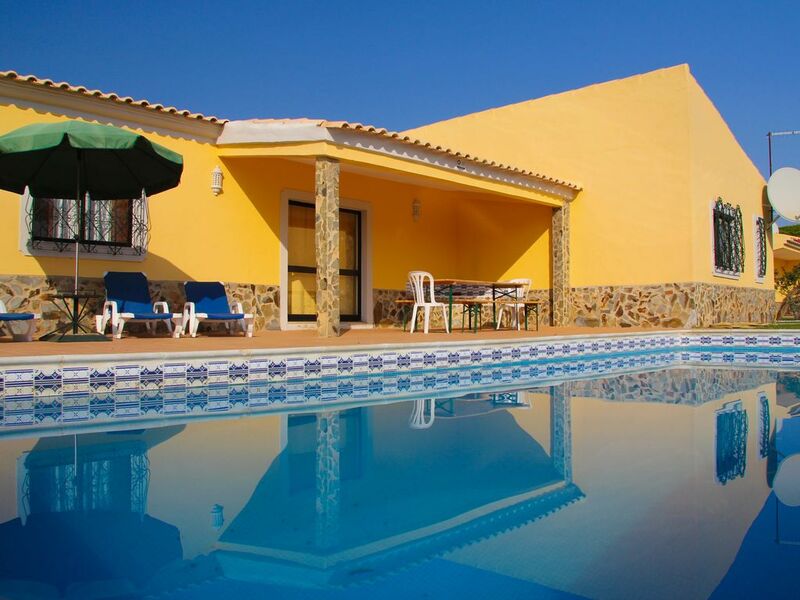 The villa is spacious and ideal for family holidays. Carlos was a brilliant host, answering our questions, providing recommendations of where to go and even put a pool fence up when seeing we had a child in the booking. Great trip! Domaine clos donc idéal pour les enfants, les parents sont vraiment en vacances !!!! We stayed in the house for a few days and it was totally lovely. Carlos is very welcoming and everything was really nice. The house is very spacious and it provides all the services you need. The garden is amazing with orange trees and a lot of animals. We absolutely want to come back next year! Hemos pasado un puente genial. La casa muy bien y la atención muy amable y acogedora. La maison est tout à fait conforme à la description et correctement entretenue, la piscine également. Elle est très bien orientée, calme. Mr et Mme FERNANDES sont très agréables et réactifs. Bref, nous sommes ravis de nos vacances et les amis qui nous accompagnaient également ! "La estancia en la quinta fué estupenda;espacios amplios,ambiente tranquilo, comodidad, limpieza,muy buen trato por parte del propietario, en resumen una maravilla.Recomiendo este alquiler a futuros inquilinos.Tienen cerca en Almancil,playas del Algarve y Loule unos entornos preciosos para visitar.Desde Galicia( Marta) mandamos un abrazo muy fuerte al anfitrión Carlos"
(Text automatically translated) follow the direction of Almancil, Quinta do Lago.